One of the largest free and open source Content Management System based on PHP and MYSQL, WordPress is a software that lets you design and develops hosted websites with a vast number of free and paid templates. It was initially developed as a blogging platform but now has evolved to serve as a leading platform for developing websites and content management system. On its first release on 27th May 2003 WordPress needed to be installed before its use. Due to several advancements since then, this CMS platform has now the capability of doing almost anything just with a simple login through its webpage. The website templates are actually awesome, however, coders and developers also use a fare canvas to start coding an entirely new template for websites. Themes: With thousands of themes, WordPress is a leading free CMS that keeps you toggle different look and feel of your business website. 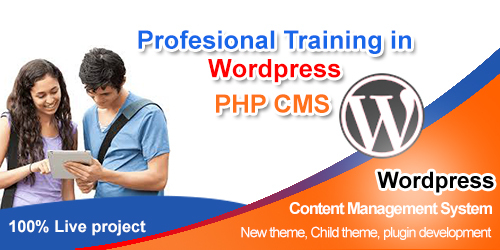 WordPress themes are equipped with structured PHP, Cascading Style Sheets (CSS) and valid HTML. Themes like underscores and child are the most popular in WordPress. Extensions and Plugins: WordPress stores 40,000+ plugins and extensions that are easily customizable by the developers as per the need for the website. These plugins hold an extensive range of features from SEO to client portals displaying information and necessary statistics. Mobile features: WordPress keeps you updated on the latest developments. It contains a list of different extensions, color, themes that goes right with a mobile responsive website. Every website developed in this CMS is equally optimized for every mobile device. Other features: WordPress has several other management offerings such as SEO friendly and clean building structure. It has the abilities to support multiple operating systems, allow blogging, moderating and reply features. Developing has never been that easy before. With easy navigations and coding options, WordPress makes working more flexible and easy. It leverages a developer to make a website instantly and effectively adapt to changes. The fluent UI of the CMS platform makes it easy to use, also for beginners. Each option and features can be easily incorporated and edited as per requirement. WordPress hosts more than a thousand plugins and themes that let you customize your website look & feel as well as its features. With WordPress getting an SEO ready website is much easy. The contents, designs, and graphics that are present are all SEO friendly. So you don’t need to worry about working for basic SEO separately. WordPress community, one of the biggest platforms where digital marketers and web developers meet, holds on to you for every support or query to need to be addressed. With such a commanding advantage in the world of websites and blogs, WordPress has the true potential to be the leading platform for developers. Mastering the platform can enrich any professional or novice with a brighter career opportunity in the trade. Here at Proideators, we make our student learn and master through real-time projects, coding on the blank canvas of WordPress.